Habit: Average, dry to medium wet, well-drained soils in full sun to part shade. Remove suckers to prevent unwanted spread. Foot hill and lowlands, more common in drier areas. Fairly adaptable. 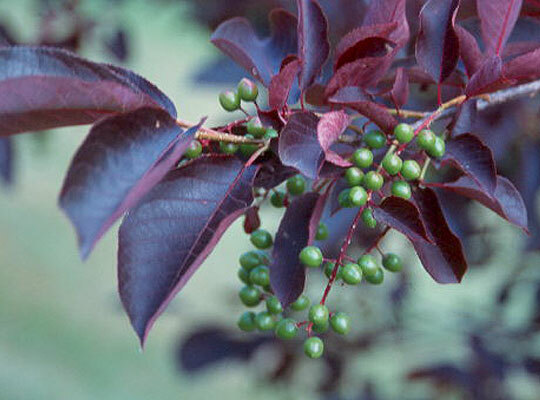 Characteristics: Chokecherry cultivar (sometimes called purpleleaf chokecherry) is a deciduous, suckering tree or shrub with a pyramidal habit which grows 20-30' tall. 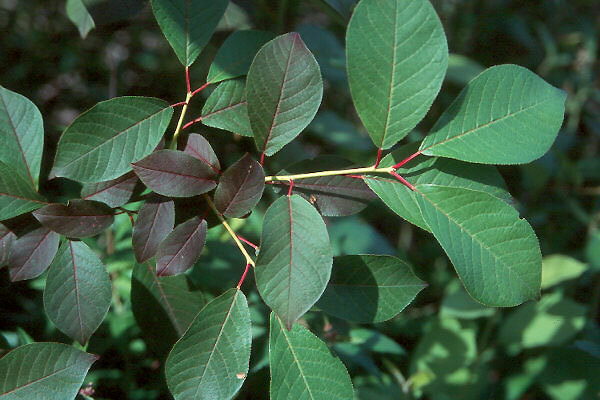 'Schubert' is best known for its purple foliage: elliptic to obovate leaves (to 5" long) emerge green in spring, gradually maturing to dark purple by early summer. Flowers: Inflorescence a terminal, pendant, many-flowered raceme, the uniform pedicels 4-8 mm. long; calyx glabrous, the 5 lobes spreading to recurved, oval, finely glandular, 1-1.5 mm. long; petals 5, creamy white, sub-orbicular, early-deciduous, 4-6 mm. long; stamens about 25; pistil 1. Fruit is very astringent, hence the common name. Fruit may be used in sauces, jellies and preserves, however. Fruits are attractive to wildlife. Problems: Tent caterpillars can be a significant problem. Aphids, leaf spot, black knot and shot hole fungus are occasional but lesser problems. Uses: Specimen, shrub border, open woodland garden, bird garden, screen or informal hedge. 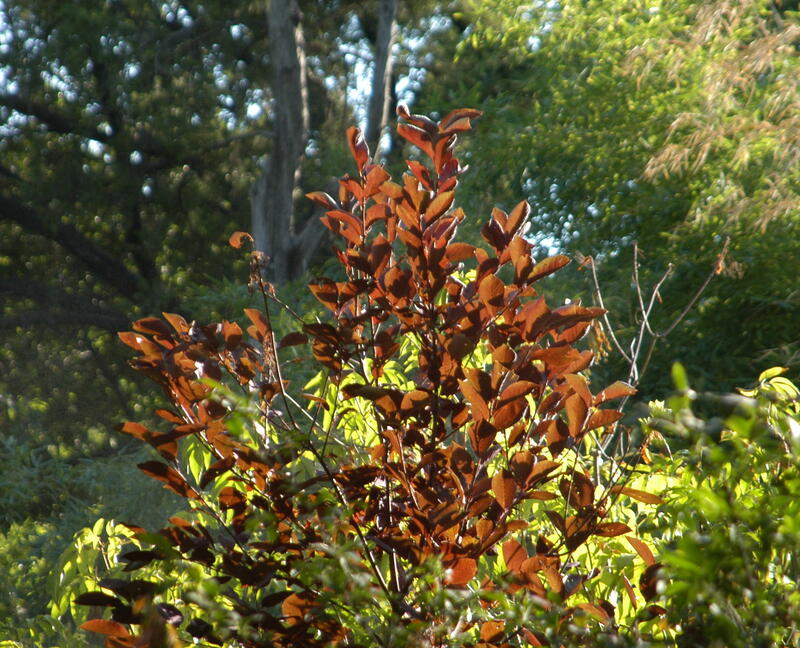 Red Chokecherry leaves in spring.